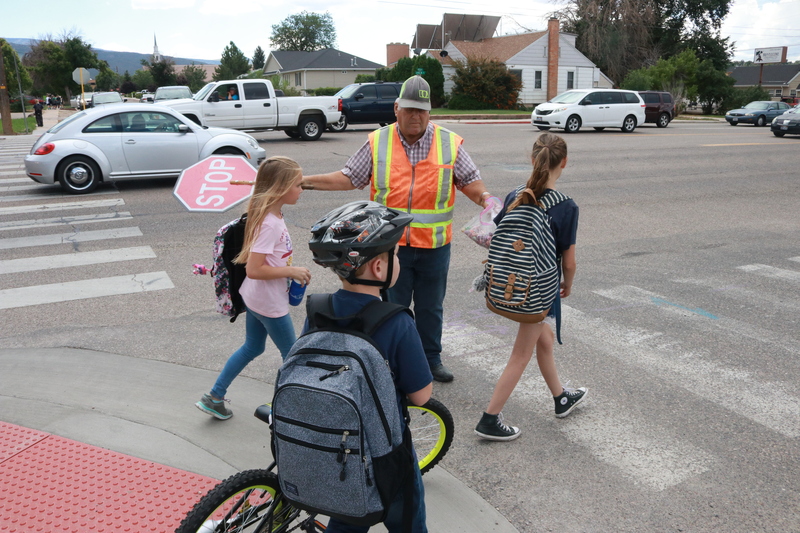 SOUTHERN UTAH — With the new school year having started last week, law enforcement officials in Iron and Washington counties are placing increased focus on school zone and crosswalk safety, both in words and action. In a news release from the Iron County Sheriff’s Office, Lt. Del Schlosser said the office will increase law enforcement operations around high-risk pedestrian crosswalks near schools. 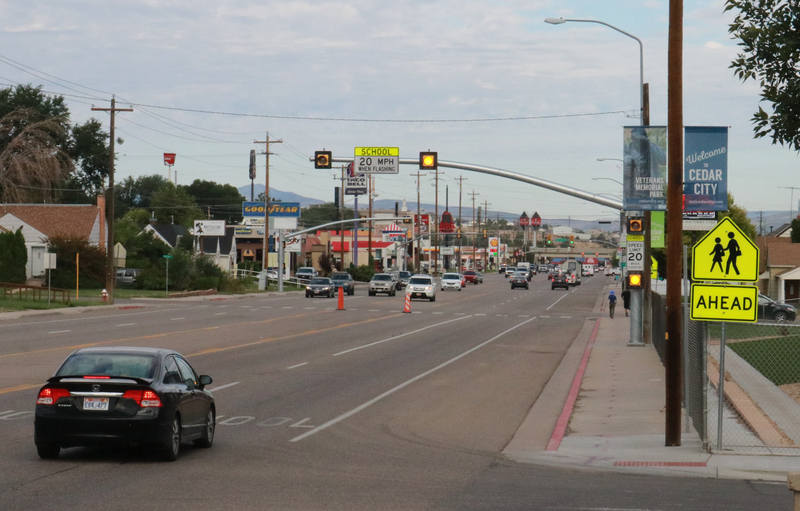 There have already been 19 pedestrian fatalities in Utah so far this year, according to the Sheriff’s Office. Between 2015-17, there were 642 auto-pedestrian crashes in Utah, 27 percent of which involved a child pedestrian between ages 4-17. Sixty percent of those occurred when the child was in a crosswalk, according to the news release. 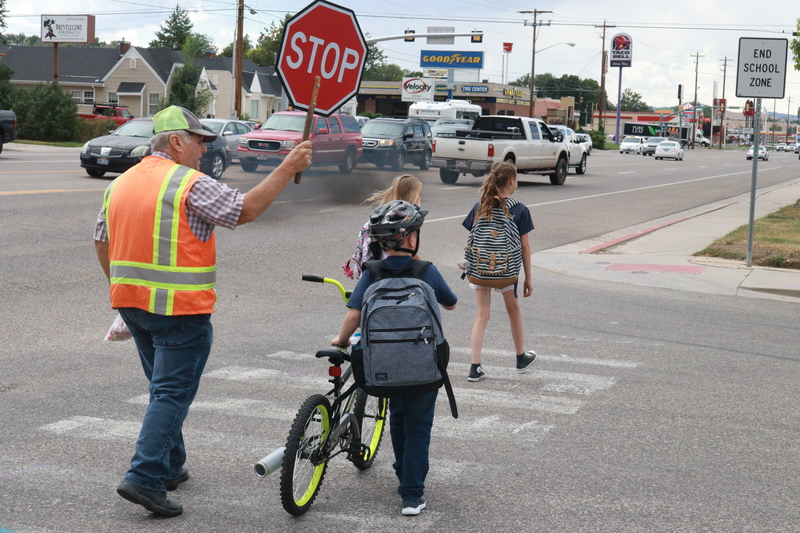 Iron County motorists can expect to see increased school zone enforcement for at least the next month, starting Monday through Sept. 19, the Sheriff’s Office said. In Washington County, similar efforts have also been taking place since school started, St. George Police officer Tiffany Atkin told St. George News. “What we’ve done is we’ve asked the patrol officers that aren’t busy during those before and after school hours to patrol the school zones heavily,” Atkin said, noting that the department has received grant money that helps fund overtime pay for officers to work enforcement in school zones. Atkin said the department has also been issuing tickets to violators, rather than warnings, and will continue to do so. Atkin pointed out that a large majority of the people being cited are parents of students and other residents who live in the area, as opposed to people just passing through. According to a newly revised Utah state law, drivers must now come to a complete stop for anyone in a school crosswalk, regardless of which half of the road they are on. In other words, once a pedestrian steps into a school crosswalk, drivers must stop for the pedestrian until he or she is completely out of the crosswalk. “So even if you’re waiting to make a right turn at an active school crosswalk and a kid crosses in front of you and they’re halfway across, you still can’t make that right turn until that student is out of the road and on the sidewalk on the other side,” Atkin explained. “If there’s any questions about what the laws or rules are about it, we encourage them to do what they need to do to learn them and hold themselves accountable for obeying those laws,” Atkin said. In a school zone, a vehicle must come to a complete stop if a pedestrian is in the crosswalk. If a vehicle is stopped for a pedestrian, another vehicle may not pass the stopped vehicle but must also stop. A vehicle must yield to a pedestrian in a marked or unmarked crosswalk or intersection if that pedestrian is in the roadway. A vehicle crossing a sidewalk (such as where a driveway or parking lot entrance crosses a sidewalk) must yield to a pedestrian on the sidewalk. A pedestrian crossing a roadway at any point other than a marked or unmarked crosswalk intersection shall yield the right of way to all vehicles on the roadway. A pedestrian shall obey the instructions of a traffic control device specifically applicable to the pedestrian unless directed by a peace officer to do otherwise. A pedestrian may not cross an intersection diagonally unless authorized by a traffic control device. Where a sidewalk is provided, a pedestrian may not walk adjacent to or on the roadway, when practicable (exceptions include snow, construction, et cetera). A pedestrian may not suddenly leave a curb into a crosswalk if there is an approaching vehicle so as to create an immediate hazard. “Our main goal is to help each other stay safe on our roads,” Schlosser said as he reminded motorists and pedestrians to share the road. Drivers are also asked to remember when yellow school zone lights are activated and flashing, the speed limit is reduced to 20 mph. Let’s add do not drive around the school zone crosswalk by driving up and over and down the adjacent sidewalk. Seems obvious you’d think. This I experienced just over 5 years ago in my Santa Clara neighborhood when coming back from an early morning walk. A 1/2 ton pick up made this move 20′ directly in front of me. I will never forget, and as I stood there blown away, the driver had the gall to blow me a sarcastic kiss. Then to my further astonishment, the car behind him followed the same action like a copycat. Moments just prior to this occurring while walking,s I was thinking or semi daydreaming about two kids being struck accidently. Call this coincidence, synchronicity, or a fabrication, if it sounds to unbelievable to you (uhhhm, Comments), I became a safety activist in my neighborhood that morning. I filed a police report, but without a plate it was useless. Needless to say, our local school zone is one of the safest in Washington County these days. Strange but true account, and on the record, as I contacted a certain County official for advice at the time, mistakenly mentioning the synchronicity of events. Believe it or not, as Ripley would say.